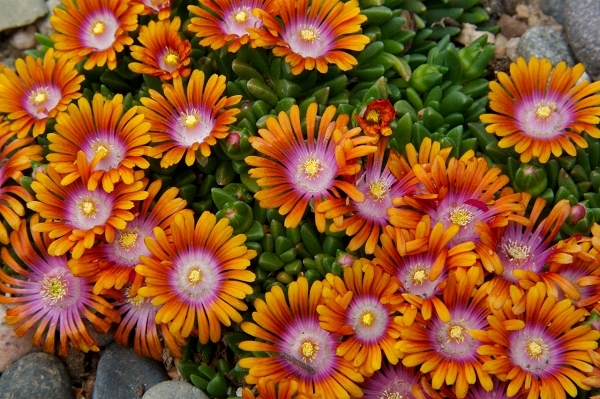 Stunning tri-colored flowers of orange, purple and white eye cover a tight, fast spreading mat of succulent evergreen foliage. The flowers are prolific in spring, reappearing throughout the summer. Green-apple foliage stays through winter. A Plant Select® winner, this hardy and heat-loving ground cover is perfect for use in waterwise landscapes.